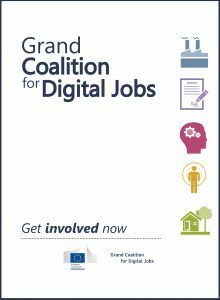 Telecentre Europe was part of the Secretariat of the Grand Coalition for Digital Jobs. The Secretariat brought together stakeholders from the demand and supply side committed to bridging the skills gaps. These constituencies included Member States, the Commission, industry, academia and NGOs. 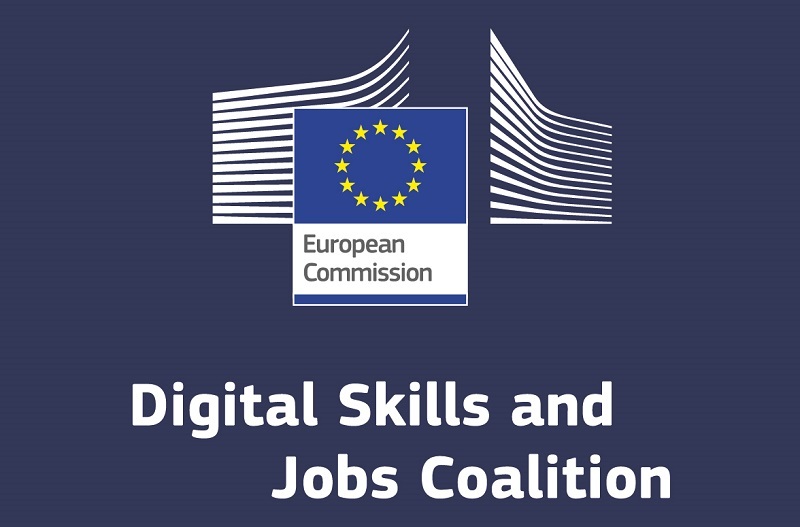 Over two years, some 14 organisations active in the IT, education and SME communities were to boost the Commission’s programme through a five-pronged strategy for reducing the skills gap in Europe. New forms of ICT education – promoting the supply side for ICT jobs creation through more aligned educational schemes (e.g. MOOCS, closer links between education and careers) and stimulating structural change in educational systems. The Secretariat focused on action and local implementation. It amplified successful local and national programmes and initiatives and seeked to export these to other parts of Europe. It built and promoted local coalitions to facilitate action towards enhanced digital skills at national, regional or local level. 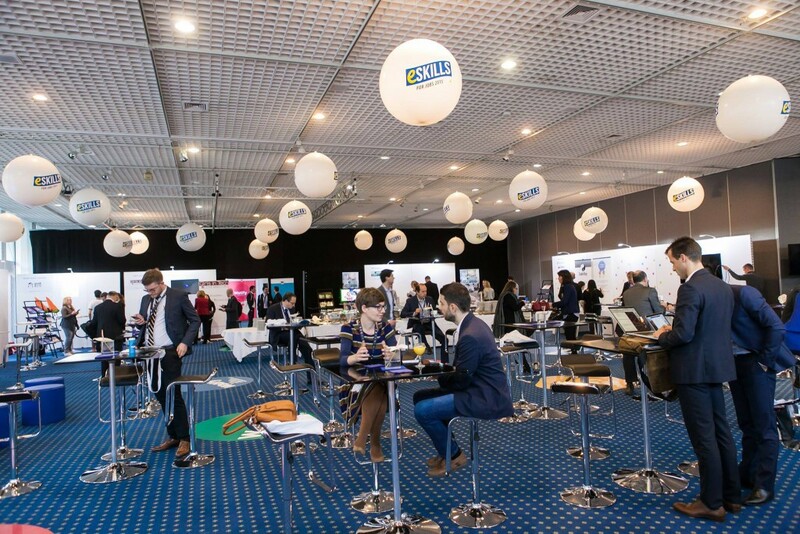 In its first year the Grand Coalition resulted in the creation of 2,200 new digital jobs, 5,277 extra internships, as well as creating training course positions for 269,000 people. Telecentre Europe led and facilitated Local Coalitions for Digital Jobs (LC4DJ) across Europe (i.e. local governments, industry, employment services, educational and social actors). Other GC pledgers as well as national Digital Champions were invited to join the Local Coalitions. For the EC, this pledge helped GC going local. For TE, the GC brand facilitated the creation of multi-stakeholder partnerships (i.e. the Local Coalitions) led by TE members/partners. 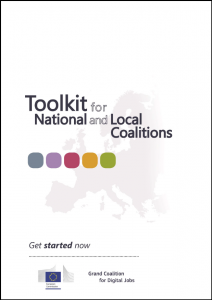 The toolkit was created by the Secretariat of the Grand Coalition for Digital Jobs‏ to support the dissemination of activities and clarify the role of national and local coalitions. 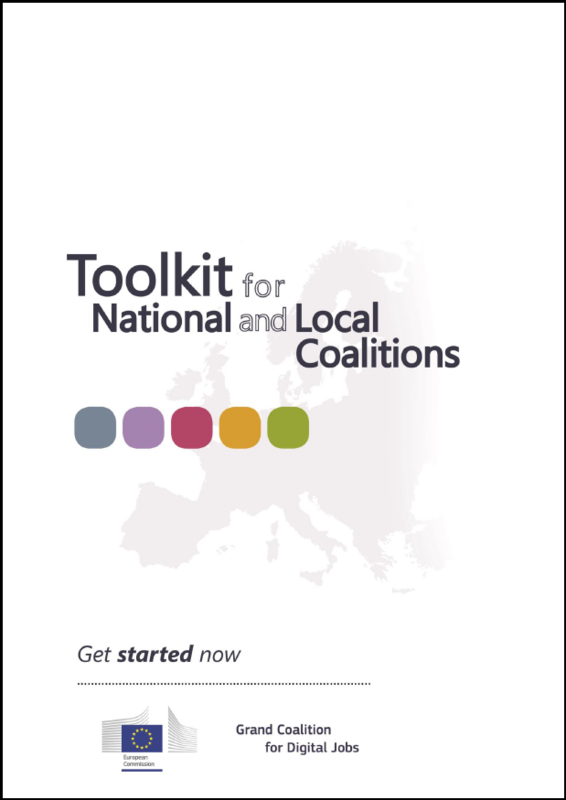 The toolkit describes the support that the Secretariat provided to those stakeholders who were interested in setting up either a National or a Local Coalition (NC or LC). This toolkit explains the steps to take to set up a NC or LC. It also outlines the first steps that can be taken to get the Coalitions up and running. Practical examples and solutions provided can be adapted by NCs and LCs. The purpose of this impact assessment report is to evaluate the implementation status of the action plans developed by existing NCs and LCs. As many NCs and LCs were formed during 2014 and many of them are still premature, this first impact assessment looks at their initial results. A second impact assessment was condected at the end of 2015 to include more extensive data on the actions and outcomes of a broader number of LCs and NCs.